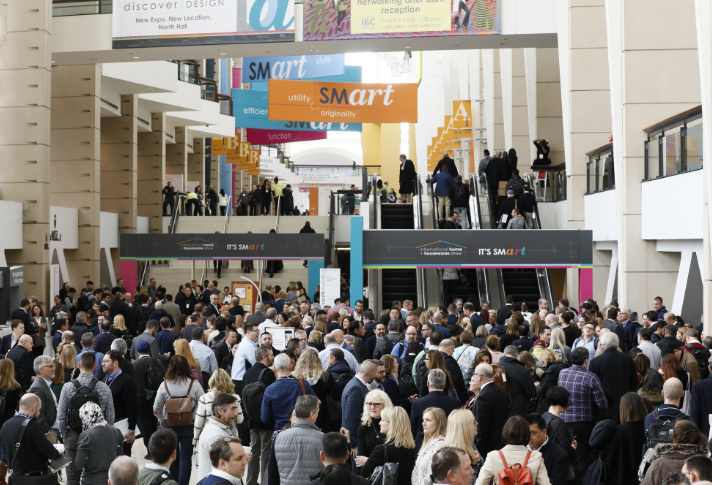 The just-concluded 2019 International Home + Housewares Show is garnering rave reviews from the industry with an overall sentiment that the quality of buyer attendees was the strongest in years. 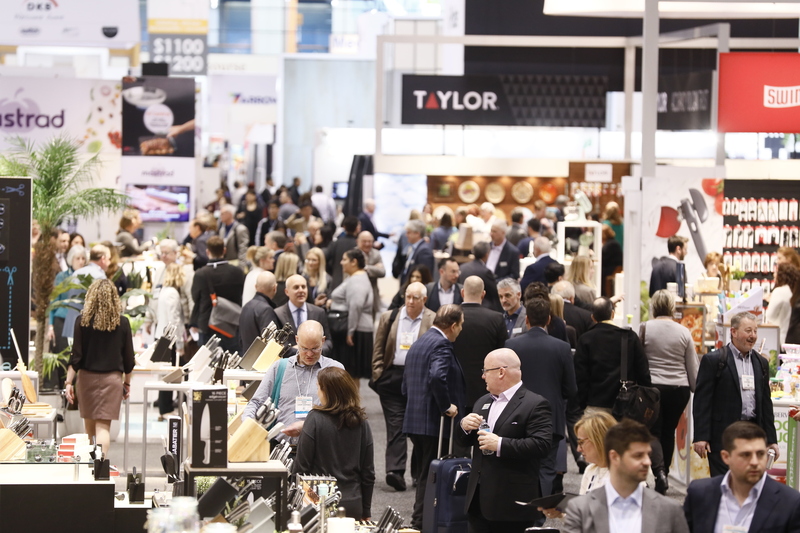 The Show was sold-out with 2,205 exhibitors from 43 countries and featured a focus on influencers/bloggers, smart/connected products and the specialty beverage movement. “The high quality of senior retail leaders and buyers attending the Show allowed us to be extremely collaborative and has resulted in ongoing communications that no doubt will advance our business in the year to come,” said IHA Chairman John Collins, president/CMO at Neatfreak. 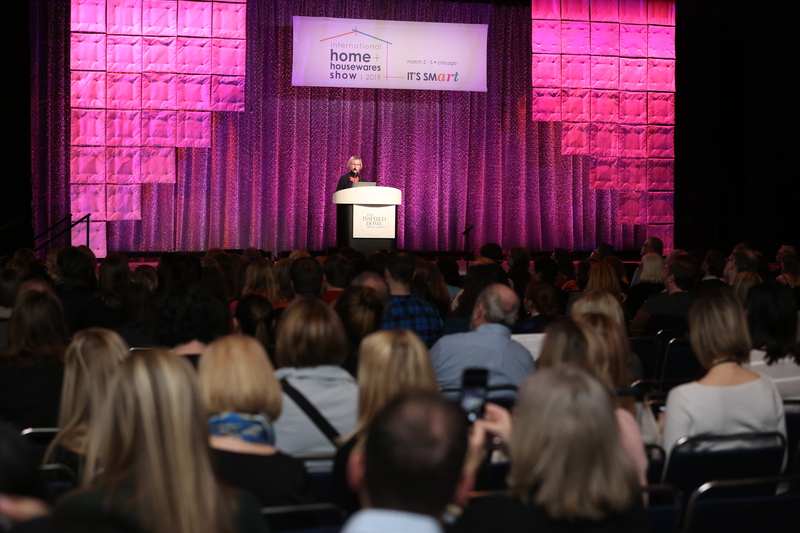 After 122 shows and 15 years after being renamed “International Home + Housewares Show,” IHA’s premier marketplace is being rebranded to “The Inspired Home Show, IHA’s Global Home + Housewares Market” next year. The new name—and March 14-17 dates—were well-received by buyer and exhibitor attendees as the Show moves to a more lifestyle-focused event, Miller said. 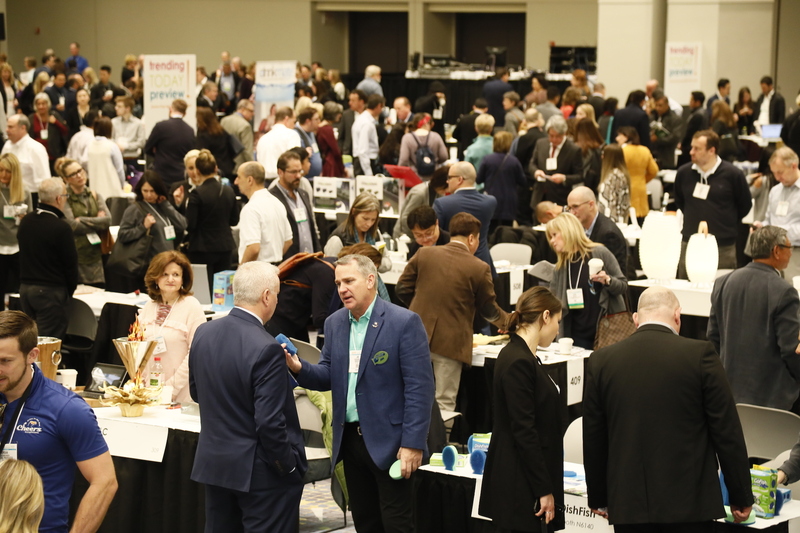 The 2019 Show began early on Friday, March 1 with the inaugural “The Inspired Home Influencer Conference,” bringing more than 145 high-quality social media influencers and bloggers to McCormick Place for educational sessions and speed-dating with more than 100 exhibitors. The influencers then stayed for the Show and were impressed with the brands they could partner with to bring product information to the consumer. The focus on smart and connected products continued to grow with expansion of the IHA Smart Home Pavilion; three days of educational programming at the Smart Talks stage; and the addition of a display by b8ta, a “retail as a service” model designed to bring emerging technologies to market by making physical retail accessible to everyone. Sessions in the Smart Talks stage were video recorded and will be posted on IHA’s website at Housewares.org/education/video. The specialty beverage movement was spotlighted in the Trending Today Preview before the Show opened on Saturday morning and in a special booth in the Wired + Well Expo. “A Celebration of Coffee” featured coffee-making products and accessories from exhibitors along with demonstrations and educational sessions from Counter Culture and the Specialty Coffee Association. Products that allow consumers to express their own personality and tastes. This includes smart home products that can be customized to their personal needs, items to help make specialty beverages and DIY kits for everything from bourbon to vegan cheese. “Bathleisure,” which takes its cue from the athleisure trend by elevating the bathroom to a spa-like retreat; think intelligent microfiber for bathrobes, turbans and bath linens. The bathroom as the next smart home frontier. Eco-friendly straws in a variety of colors and materials. Many offer additional features, such as carrying cases and cleaning brushes. Leatrice (Lee) Eiseman, executive director of the Pantone Color Institute and IHA’s color expert, presented her annual color forecast keynote at the Show. On the Show floor, a wide range of hues from the Pantone forecast are usually found, appealing to different customer segments in different parts of their homes. This year, robin’s egg blue appeared the most, followed by other pastel-like shades of mint green, light coral, pale pink and lemon yellow. Living Coral, Pantone’s 2019 Color of the Year, was also prominent in exhibitors’ booths including Arrow Home Products’ glassware and serveware, Hamilton Beach’s personal blender with shield, KitchenAid’s stand mixer, Lynn’s Concepts Tuxton dinnerware and Stojo’s drinkware. Mixed materials were also found in many products, including several eco-friendly materials with clever usages such as aprons made from recycled plastic, reusable food wrap made from beeswax and storage baskets from a new material called cellulose nanofiber. Along with the Mirabile and Eiseman keynotes, other keynote sessions featured a panel of grocery retailers and suppliers exploring how that channel can capture its share of consumer housewares spending and Erika Sirimanne of Euromonitor discussing how hyper-connectivity impacts consumer behavior and how digital disruption is transforming housewares retail. In addition, the Innovation Theater offered 21 presentations on the smart home and connected products, global consumer trends and omnichannel marketing. Audio and video recordings of the educational sessions are available at Housewares.org/education/presentations-webinars. 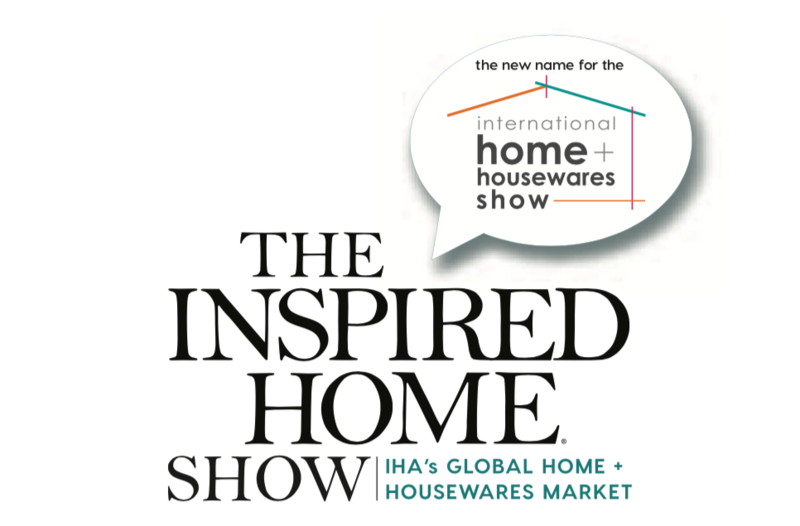 Next year, The Inspired Home Show, IHA’s Global Home + Housewares Market, will be held March 14-17 at McCormick Place, Chicago USA. 2020 attendee registration and additional Show information are available at both TheInspiredHomeShow.com and Housewares.org. IHA is the 81-year-old voice of the housewares industry, which accounted for (US)$364.2 billion at retail worldwide in 2017 ($91.6 billion at retail in the U.S.). The not-for-profit, full-service association sponsors the world’s premier exposition of products for the home, The Inspired Home Show, and offers its 1,700 member companies a wide range of services, including industry and government advocacy, export assistance, State-of-the-Industry reports, point-of-sale and consumer panel data through Housewares MarketWatch, executive management peer groups, group buying discounts on business solutions services and direct-to-consumer engagement through TheInspiredHome.com.